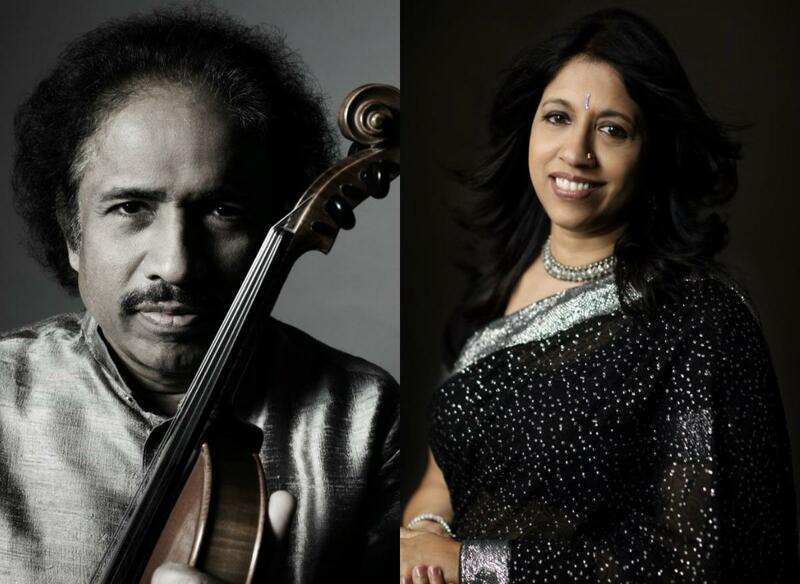 To celebrate 70 momentous years of India’s Independence, the foremost Indian violinist/composer L. Subramaniam and the multi-platinum iconic singer Kavita Krishnamurti Subramaniam along with the London Symphony Orchestra and London Voices conducted by Maestro Josep Vicent will premiere the Bharat Symphony and Fantasy on Vedic Chants (violin concerto) in UK at the Barbican Concert Hall on the 28th of November. Bharat Symphony was commissioned by The City of Chicago to celebrate the 70th year of India’s Independence, and was premiered at the Chicago World Music Festival on 9th of September 2017 at the Jay Pritzker Pavilion with Kavita Krishnamurti Subramaniam as the soloist. The piece is an elegant tapestry of Indian culture in four movements, symbolizing the four major periods of Indian heritage: the prehistoric Vedic period; the Mughal period; the British period and finally, the post-Independence modern period. The first movement incorporates melodic chants from Rigveda, a sacred text in the Sanskrit language, believed to be 5,000 years old. In the second movement, the Islamic and Mughal influences which were prevalent after the 11th century are interwoven into the structure of the composition, by introducing Hindustani instruments like tabla. The third movement focuses on the interplay of various modes of orchestral music, with an emphasis on the violin which was reintroduced during the British Raj period. The fourth movement symbolises the post Indian Independence period, and traces its global influence over the last seventy years. Fantasy on Vedic Chants was written at the request of Maestro Zubin Mehta for the India Festival and was premiered on September 12 1985 performed by the New York Philharmonic Orchestra conducted by Maestro Zubin Mehta at the Avery Fisher Hall, Lincoln Centre. Selected works by Dr. L. Subramaniam including Fantasy on Vedic Chants are available through Schott Publishing. In the first part of the concert Dr. L. Subramaniam, together with the Indian musicians Dhulipala Srirama Murthy (mridangam) and Tanmoy Bose (tabla) perform an Indian classical music set. The second part of the concert sees the prestigious London Symphony Orchestra and the London Voices conducted by Maestro Josep Vicent join Kavita Krishnamurti Subramaniam for the UK premieres of Bharat Symphony and the violin concerto Fantasy on Vedic Chants with Dr. L. Subramaniam as the soloist. This concert is the final event in the UK-India Year of Culture ([email protected]), a bilateral initiative to mark the deep cultural ties between India and the UK and the 70th anniversary of India’s Independence.